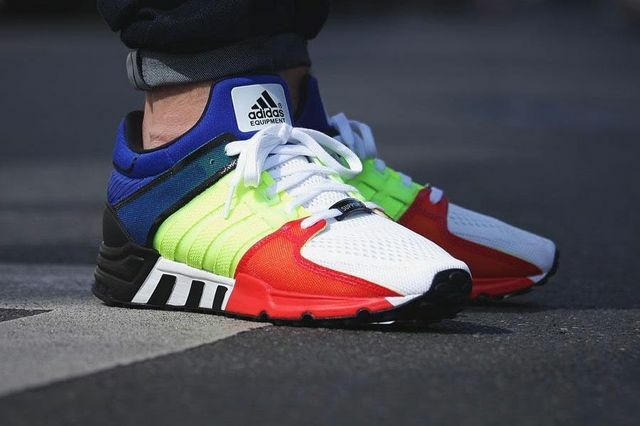 adidas Equipment Running Support '93 "Color Blocking"
Comfort never looked so good. The latest from adidas’ iconic EQT Running Support ’93 sees bold colorways put to use in a fresh faced new look. A solid blue meets a Volt-esque yellow/green and red with white and black taking things on home. The colorways and boldness encroach upon the midsole as well, which has been drenched in red and color-blocked with black and white for good measure. If you’re in need of a good looking yet supportive sneaker look no further, score yours now.